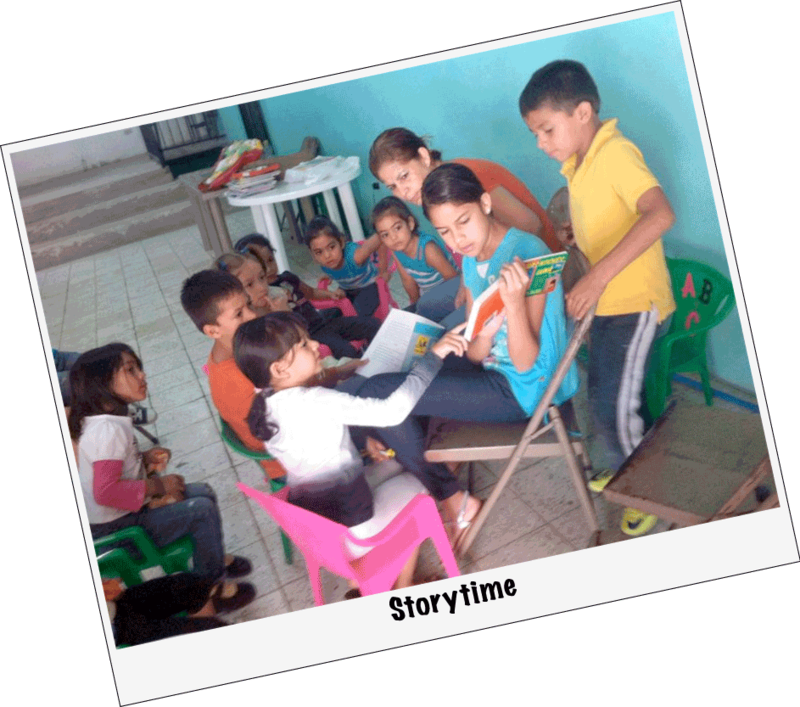 “Storytime” in Tegucigalpa, Honduras. Bonnie Whitaker formed a weekly kids book club. There is hardly a child’s book to be found in that country. Storytime is held every Saturday.